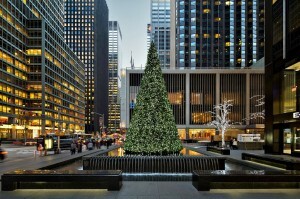 New York City is known as one of the top Christmas destinations year in and year out. 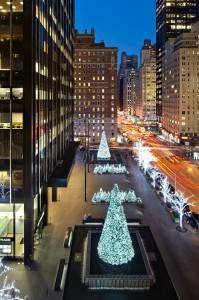 Holiday shows, department store window displays, shopping at FAO Schwarz and ice skating in Rockefeller Center Plaza are just a few things that make Manhattan synonymous with the holiday season. 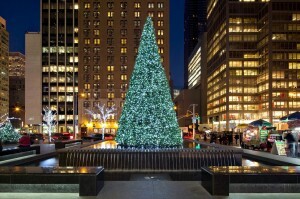 Now, Downtown Decorations is contributing to the city's Christmas celebration. 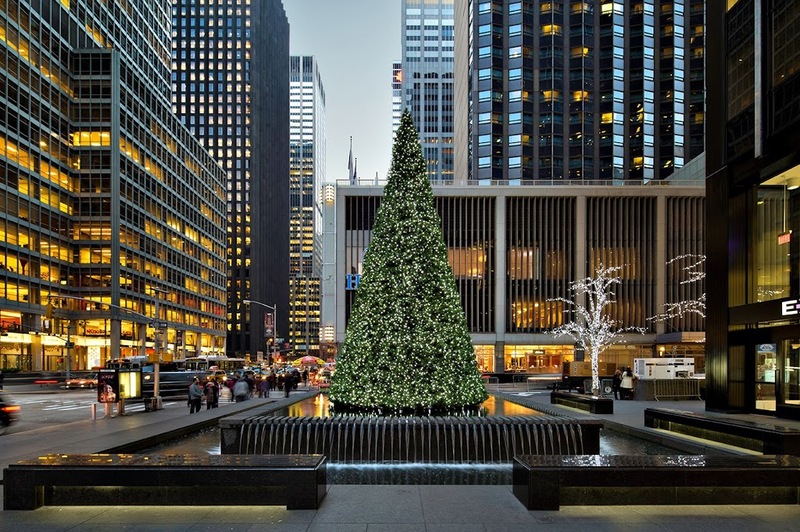 Visitors and residents can stop by 6th Avenue between 54th and 55th to see two of our 30 foot trees. 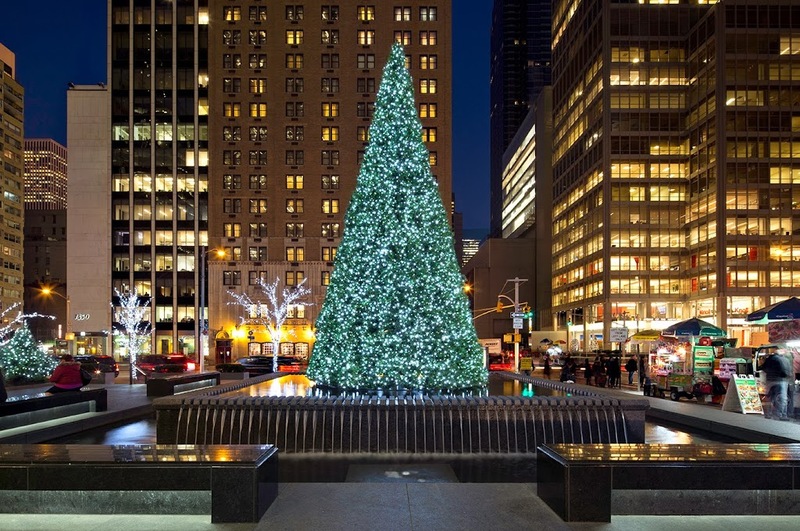 The huge trees were designed to fit on top of two outdoor fountains. 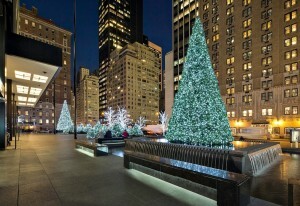 As you can see in the pictures, the trees look as if they are floating. 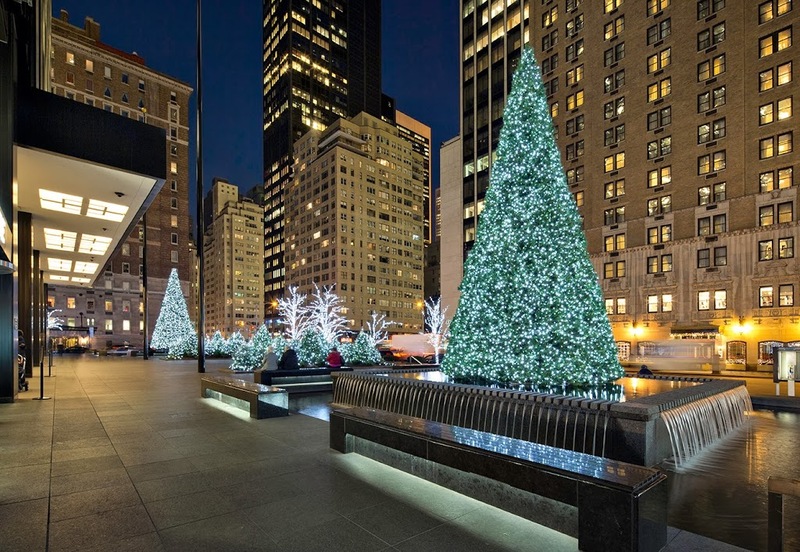 We also provided the lights, which give the trees an extremely sharp and elegant finish.